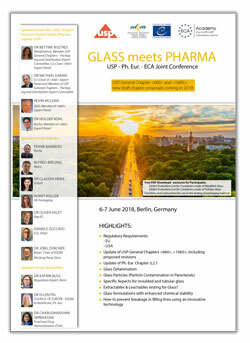 Overview and developments in glass-related texts in the Ph. Eur. You will receive a USB memo stick containing all the presentations when you register in Berlin. Note: there will be no print-outs available during the conference.